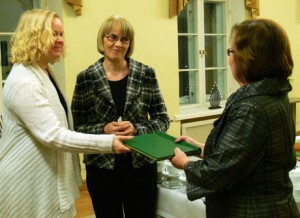 In 2015 Helsinki University’s Committee for Occupational Health and Safety gave the library an award for its effort in the field. Helsinki University library has 200 employees. Our staff members are aged from 19 years to 67 years. Compulsory retirement age in Finland is currently 68 years.